Uniquely designed for operation on both GSM and CDMA networks, Vanguard 3000 offers more choice and redundancy in carrier networks. 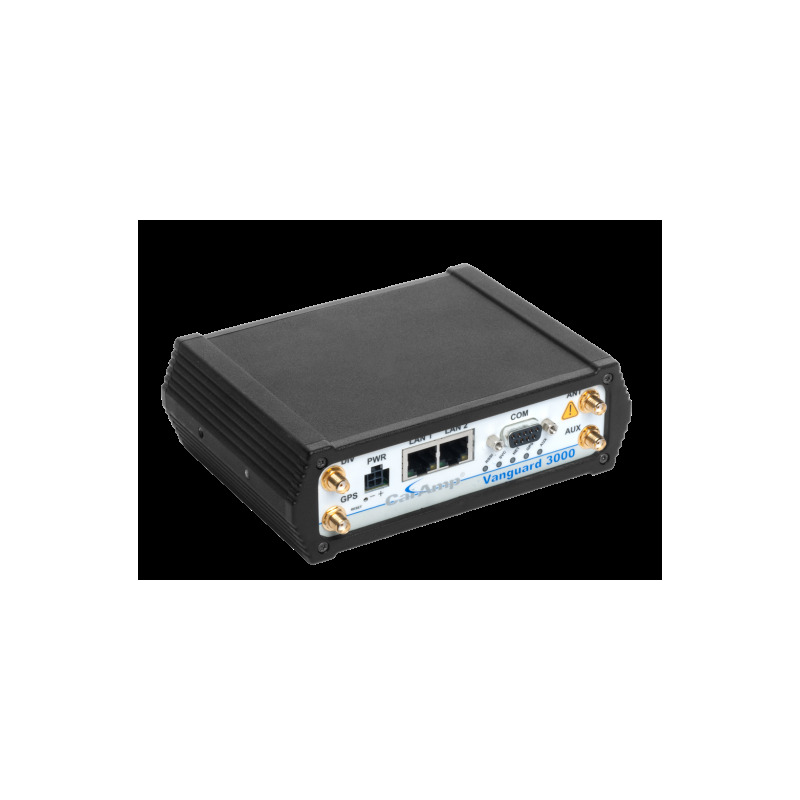 This single, flexible platform addresses a variety of wireless communications needs with serial to IP conversion, over-the-air configuration and system monitoring for optimal connectivity. This ready to deploy broadband router enables wireless data connectivity for up to two LAN and one serial device over public cellular networks at 3G speeds. This ready-to-deploy broadband router enables wireless data connectivity for up to two LAN and one serial device over public cellular networks at 3G speeds. Equipped for a broad range of fixed applications, Vanguard 3000 provides reliable connectivity for Programmable Logic Controllers (PLCs), Remote Terminal Units (RTUs), Ethernet web cameras or any other Ethernet or serial device. 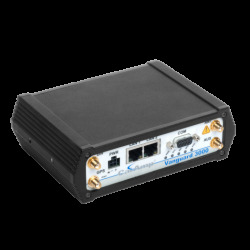 For mobile applications, this intelligent broadband router incorporates an optional highly sensitive 16-channel GPS receiver and an intelligent algorithm that offers outstanding receive sensitivity and improved accuracy, integrity and availability of GPS signals – even when the vehicle is off. An optional, built-in WiFi access point also allows your tethered devices to remain connected even when you leave the vehicle. This widely deployed wireless solution delivers countless software capabilities. OEMs may tailor the Vanguard by loading their application on the Open Developer Platform (ODP) which allows a Linux application to run on a partition of the embedded Linux operation system.